I am an adherent of the Freedom Philosophy, Primal Living Advocate, chronic pain endurer, autoimmune disease warrior, who understands that I own myself. I’m laid up in bed with pneumonia along with some indertiminet GI issue. I haven’t eaten much lately. 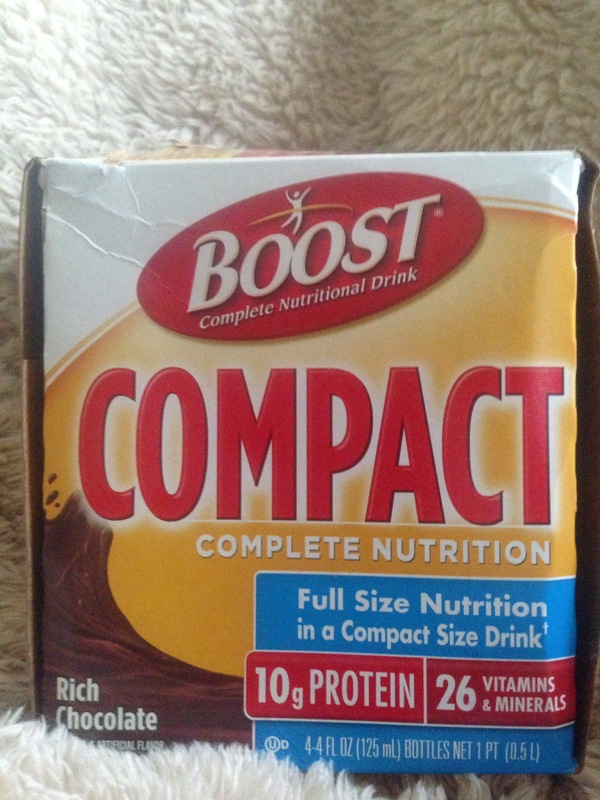 Yesterday after not eating for two days I decided to drink a Nestle Boost Compact drink to to get some vitamins and minerals in me. I’m a habitual label reader and when I read the label I knew that Nestle had a huge opportunity on their hands. I’ve been eating a primarily paleo diet for the last 9 years and it still amazes me how much of the big three foods that I recommend avoiding are still in mass consumption products including those which purport to be healthy. Nestle’s Healthcare division produces the Boost line. With their Boost product I think they have ways to improve the product and make it live up to their goal of “creating a healthier future”. 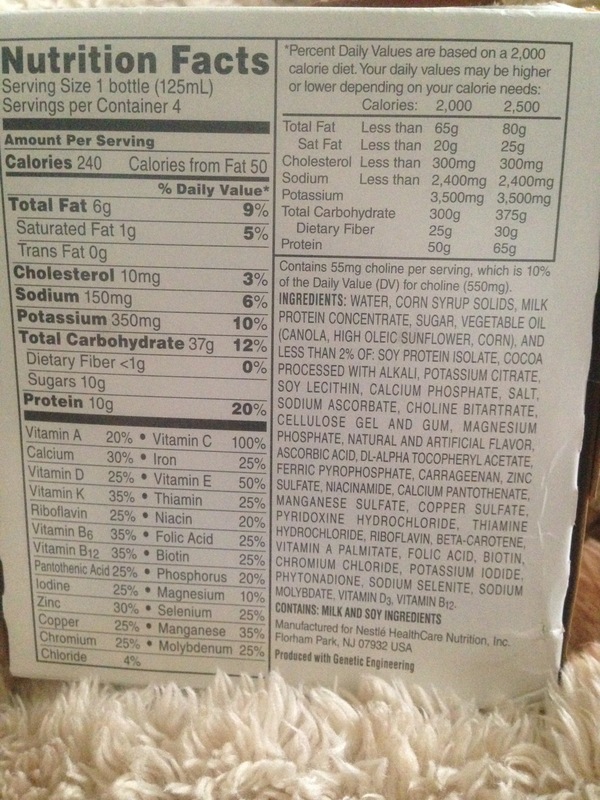 The First five ingredients are filled with red flags for those who adhere to the Anscetral Eating hypothesis. The second ingredient is Corn Syrup Solids, the fourth is sugar and the fifth is vegetable oil (canola, high oleic sunflower and corn). These are three ingredients I avoid because our genetic makeup has yet to evolve to thrive on them. I believe there are anecdotal and some studies that are showing that these ingredients may not be the best choice for people to eat for optimal health. I believe that’s especially true for people who are reaching for a Boost. Drinking one is not something you normally do if you are feeling well. Nestle’s is a huge corporation who is making an enormous investment in developing scientific nutritional products for everything from alzheimers to Inflammatory Bowel disease. If they begin to use less vegetable seed oils, sugar and and high fructose corn syrup and solids in their products they could change the entire food industry and help bring down the cost of Paleo compliant ingredients. That would inspire other companies to do the same or they would miss out on the sales that Nestle will be raking in. I believe that simple changes could be made to their Boost product to make it more Paleo compliant. A better option maybe for them to come out with a Paleo friendly version. That would be a huge seller. Primal and Paleo products do sell at a premium and people are willing to pay for it. Boost Compact is a product that provides a ton of vitamins and minerals and protein and calories that people who are sick need. Having a Primal /Paleo approved Boost Product would open up a huge market for them. . The Paleo Diet was the number onesearched Diet for weight loss last year. Awareness and adoption rates of the Ancestral Diet movement is growing rapidly. People have turned to the Pelo diet to also help ease the symptoms of autoimmune diseases and other chronic modern day maladies. Nestle is aware of niche food markets because they do offer a Boost that is FODMAP compliant. That’s a great start. The next step for Nestle is to bring out a Boost product that is organic,has olive oil or coconut oil instead of Industrial Seed oils, and uses a natural sugar like honey or maple syrup or even stevia. Organic foods typically sell for 47% higher price. I firmly believe that the margins and markets are there for an Organic Paleo compliant Boost product. I would drink it way more often than o do the traditional Boost drink and o would do so even if o wasn’t laid up in bed. If you want to contact Nestle HealtheCare Nutrition and let them know you would be a buyer of a Paleo compliant Organic Boost product call 1-800-247-7893.